Are you packing your bag to Cambodia? Curious about what to bring and what to expect? Don’t worry. We at Hanoi Voyages feel the responsibility to help you be well-prepared for Cambodia. We have compiled the most concrete, updated Cambodia Travel Guide for you. 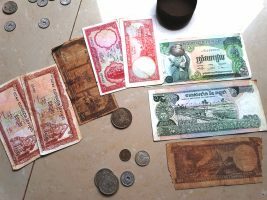 The currency in Cambodia is the Riel and is a non-convertible currency. Cambodia only uses cash, so you should always have it on hand. You can use US dollars freely, but changes will be in Riel (KHR). The most common way to get around: Metered Taxi. Except in Phnom Penh, most of the time you will have to reserve your taxi in advance. Apps: PassApp Taxis which will allow you to book either a tuk-tuk or a taxi, Exnet Taxi & Grab is also available. What are the usual prices, how do you tip in Cambodia, when is Cambodia holiday, ...? It will be a travel bargain coming to Cambodia because it is so cheap compared to Europe and other Asian countries. The average daily cost of a trip to Cambodia would be around 33 dollars per day (135,257 KHR). Get more information about the prices here. You can travel light as you can find everything at an attractive price here. Your first purchase will surely be an empty suitcase so you could pack it with all of your shopping! As the average starting salary in Cambodia for service staff is around $100 USD per month, tips are greatly appreciated in restaurants, hotels and for tour guides. You should tip only after receiving excellent service, not every time you purchase something. Get a glimpse into the real life of Cambodians by staying with local families. There are plenty of homestays across the country. Staying in a homestay is a meaningful experience. You can immerse in local life, eat and sleep alongside your host family, see how they work and even join them. However, please note that the quality of accommodations can vary and go from wooden structures on stilts to upmarket villas equipped with western amenities. With host families, you can experience the real Cambodia away from tourist traps. For example, staying in the mountainous region of Mondulkiri can help you encounter many minority ethnicities. 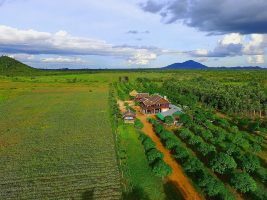 We do suggest you go to these homestays: Banteay Srei, or Cambodian Rural Discovery Tours for a more authentic experience! In Cambodia, three types of plugs are used, type A, C, and G but most sockets are Type A, the one with two flat pins. In addition, Cambodia works on a 230V supply voltage with a frequency of 50Hz. If you bring electronic appliances with different voltage, we do advise you to prepare an adapter. Before going further and choose the adapter you will pack for your trip, get more information here. Still think that Cambodia travel guide is not enough? Still worried?